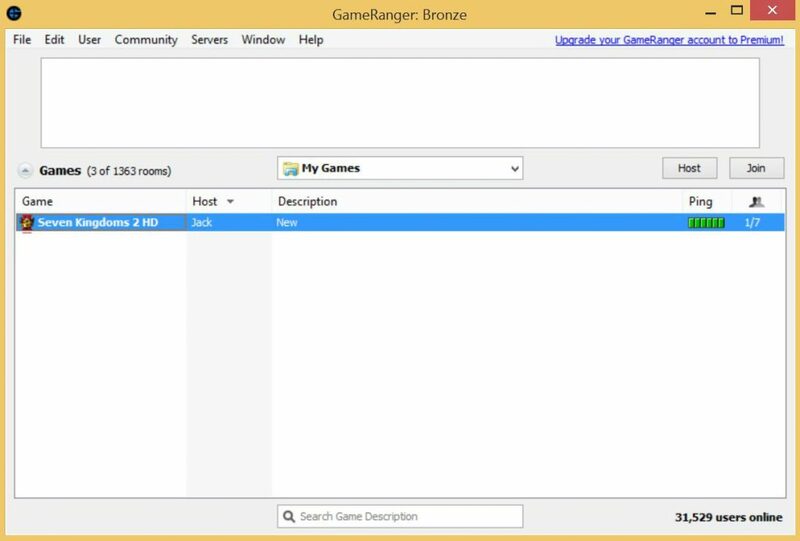 GameRanger is a free download application that lets you play over 600 games and demos online with friends and opponents worldwide and Seven Kingdoms 2 is one of the supported games. 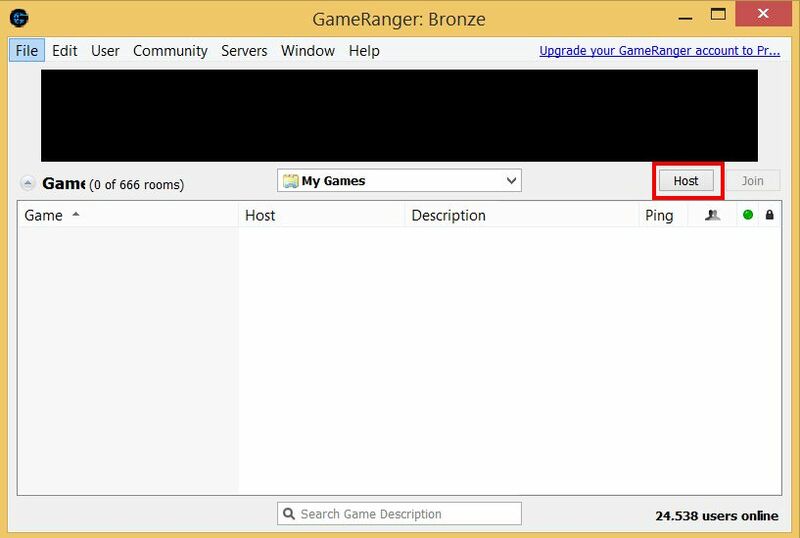 If it is your first time using GameRanger, you will need to create a new GameRanger account. 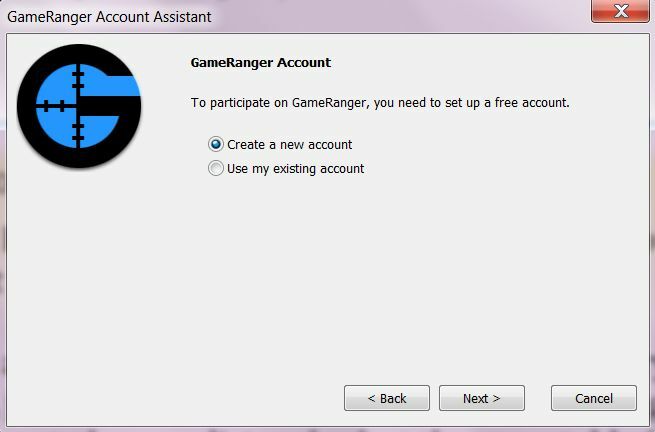 Simply run GameRanger and follow the instructions to set up a new account. Run GameRanger, select Edit and then Options from the menu to open the Options window, as shown below. 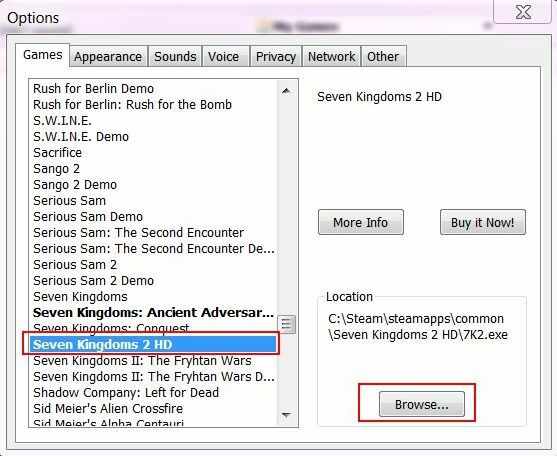 On the Options window, select “Seven Kingdoms 2 HD” from the game list, as shown below. 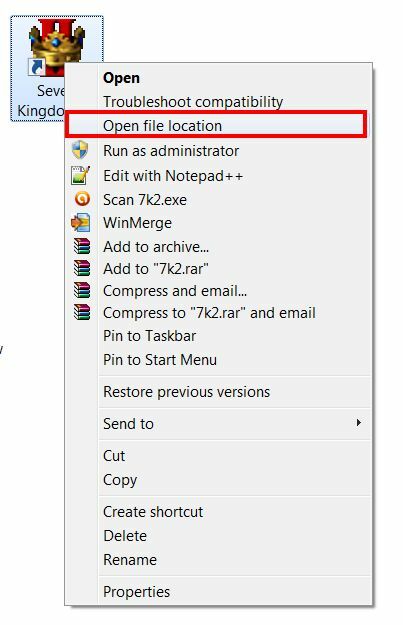 GameRanger needs to know where your copy of Seven Kingdoms is located on your harddisk in order to run it. Clickon the [Browse…] button as shown above and select the location of Seven Kingdoms 2 HD’s executive file 7K2.EXE. Select My Games as shown below, to order GameRanger to show only games that you have installed on your harddisk. 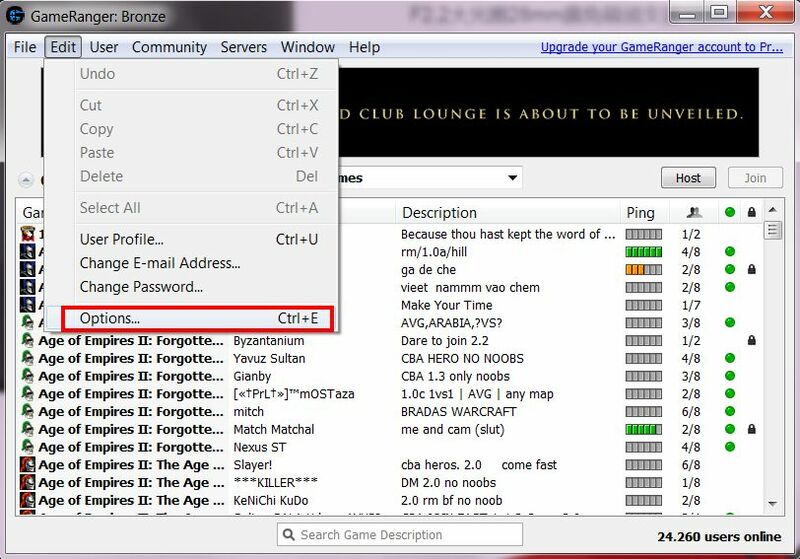 Suppose that your friend has also installed GameRanger and is ready to play a multiplayer game of Seven Kingdoms 2 with you, and you are the one who is going to host the game, then you can click the Host button as shown below. 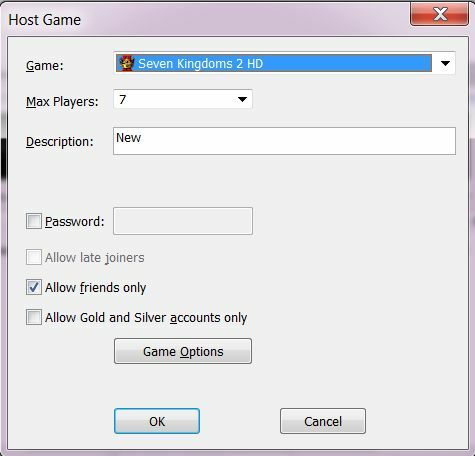 Now select Seven Kingdoms 2 HD from the Game field and click OK when you are done. 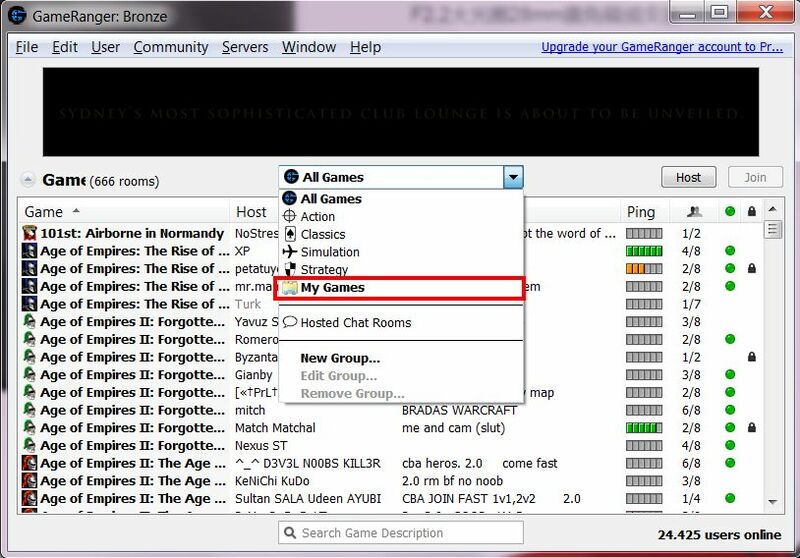 Once you have set up hosting the game, your friend will see your game on his/her GameRanger, like what the following screen shows. Your friend can simply double-click on the game to join. Once this is done, GameRanger will launch Seven Kingdoms 2 HD and it is set to start a new multiplayer game.